In 2017, AAA responded to 541,920 service calls assisting disabled vehicles in Northern New England, including 17,041 batteries. 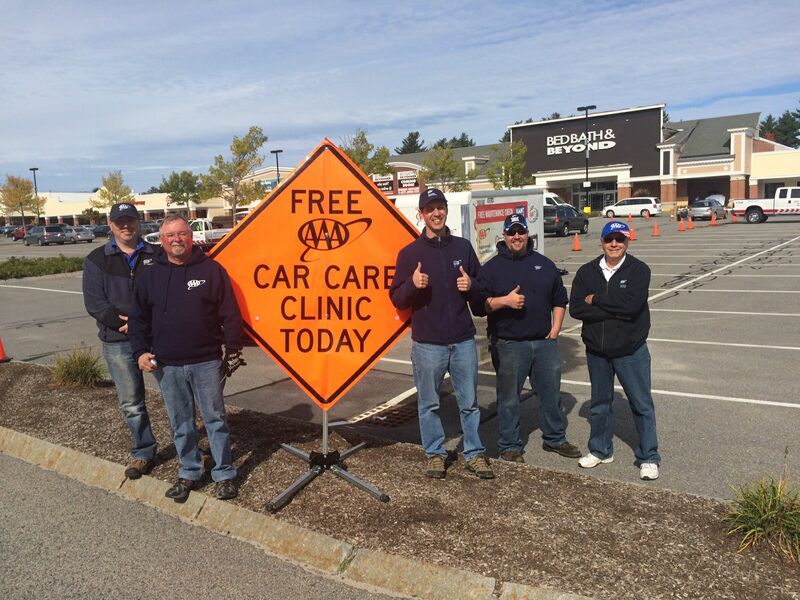 To alleviate the inconvenience of a road service emergency this winter, AAA Northern New England will be hosting free car care clinics during the month of October. During Car Care Month, AAA automotive professionals tour each of the Northern New England states performing pre-winter vehicle check-ups that include checking: tires, fluid levels, windshield wipers, battery, charging system, brakes, lights, belts, and hoses. Bangor: Tuesday October 30th, 339 Griffin Rd. Waterville: Wednesday October 31st, 13 Washington ST.
All too often vehicle maintenance falls through the cracks of daily and monthly routines. “Properly preparing your vehicle for upcoming winter weather is essential for safe driving and will greatly decrease the chances of your vehicle leaving you stranded in the cold,” said Tom Giasson, Manager of AAA Approved Auto Repair and Auto Buying Services. “Many of the most common driving emergencies can be easily avoidable by preparing your vehicle for the winter season,” Giasson added. The AAA Mobile Battery Service will be on-site at the free clinics, with technicians ready to test your battery and charging system, and if necessary, replace your vehicle’s battery at our member-friendly price. Make it a point to stop by one of AAA’s Free Car Care Clinics to have your vehicle checked out by AAA’s Automotive Service Excellence Certified Technicians. No appointments are necessary, and are for Member and Non-Members alike. As we roll into the winter months, and our busiest road travel season, make sure your vehicle will safety get you there. As North America’s largest motoring and leisure travel organization, AAA provides 59 million members with travel, insurance, financial, and automotive-related services. Operating 19 offices throughout Maine, New Hampshire and Vermont, AAA Northern New England is a not-for-profit, fully tax-paying corporation and a leader and advocate for the safety and security of all travelers. Today, AAA members benefit by roadside assistance, insurance products and services, travel agency, financial products, automotive pricing and buying programs, automotive testing and analysis, trip-planning services, and highway and transportation safety programs.